Ufology paves the way for the antichrist Obama! WHAT WAS HIDDEN IS REVEALED! 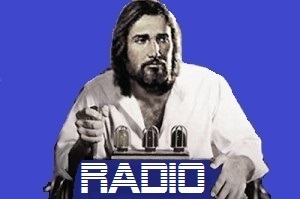 THE TOPICS: UFOs, THE ANTICHRIST OBAMA, THE BATTLE WITH THE ARMOR OF GOD, TOTAL SURRENDER TO JESUS ​​CHRIST, AND IMPORTANCE OF THE COVERAGE UNDER THE BLOOD OF JESUS ​​CHRIST! Hello, welcome! On July 31st, 2012, the messenger angel of God brought on the following message to Prophet Benjamin Cousijnsen. Shalom, Benjamin! I greet you there in the almighty name of Yeshua HaMashiach, Jesus Christ. My name is Siloam, the messenger angel of God. I tell you the full truth, because I come from His Holy of Holies, and reveal to you that which was hidden. Benjamin, write down and pass on God’s holy words, just as I say them. Ephesians 6, verse 12 For we wrestle not against flesh and blood, but against principalities, against powers, against the world rulers of this darkness, against the spiritual hosts of wickedness in the heavenly places. Your world is under the control of satan! The spirit of humanity is now often attacked by satan, because time is almost running out. You really need to have a covering of Jesus Christ’s Blood. If you are already His child – of Jesus Christ – it doesn’t mean that you should leave everything up to Yeshua HaMashiach, Jesus Christ. He says: Stand up there! Stand in the power of Jesus Christ! Ask for His precious Blood and His armor. Trample satan and his fallen angels, and don’t accept lies from the father of lies! 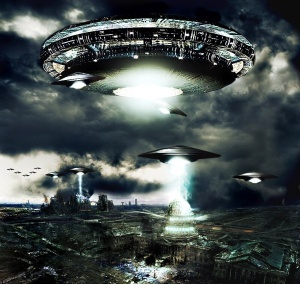 Ufology is a preparation that also paves the way for the antichrist, who is already among you: Obama. Luke 17, verse 26 “When suddenly and massively the Rapture occurs, there will be a global religion.” As it was in the days of Noah, so shall it be in the days of the Son of man. You people are very curious about UFOs and extraterrestrial beings. The technological fallen angels have a large UFO spacecraft which fills the airspace with a heavy sound, but they can also turn the sound off. One projects an image of clouds with air around the spaceship. These extraterrestrial fallen angels come from a planet just above the Earth, which is not seen. The number of the crew members is 666 persons in total per spaceship. These angels and entities can also have themselves transported to a place on Earth, where they should be. They monitor you on video displays. His staff people as well, and the Illuminati, and the people of high position, and the clergy work together to accomplish the plan of the antichrist, Obama! Benjamin, Obama is playing a game. He will be mortally wounded and die, and after three days come to life, and be raised as a god. And each country shows respect and trust. And then he strikes, Israel! There are planets where there is life. Benjamin, America will not always be America, because God will punish it. It is important that you are free of your sins, and that you take God’s Word seriously, the Bible, and this message of God. All disasters have already been predicted, and it is in full swing. God wants you to be saved so much and to not be left behind. Don’t say: “I was good and did a lot for others”. Jesus Christ doesn’t want half of you, but all of you! He would so much like that you, who’re listening, surrender to Him, who would like to meet you where He is. Jesus Christ wants you to choose for Him completely. He does not force, but it’s your own choice then, whether or not you will be going through this hell on Earth. The God of Abraham and Isaac and Jacob sees you and loves you! He will take His children home soon! His book can be closed. You, who are born again, stand ready, without the stain of sin! I’m going now, Benjamin. He who does not want to hear, will perish. Put this in your mind! Shalom! spoke the messenger angel of God, and disappeared. ⟵Agosto 26, 2012 Ikaw nga anaa diha… Kini mao ang katapusan sa mga adlaw!